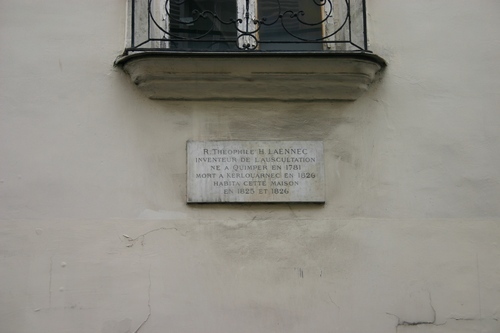 As remembered by a memorial plaque on the facade, René Laennec lived with his wife - married in 1824 - in this house of Paris (then, Rue Saint-Maur, now Rue de l'Abbé Grégoire, 17) between 1825 and 1826, the year of his death1. The dates 1925 and 1926 should be 1825 and 1826. 1. 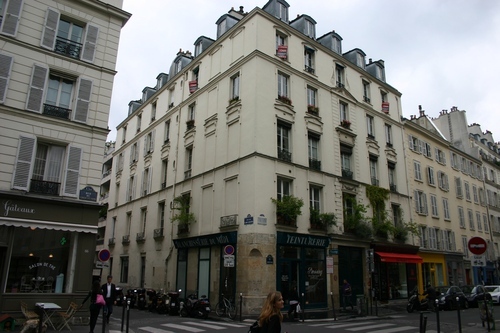 A.Rouxeau, Laennec, Baillière, Paris 1912-1920, vol. 2, pp. 369-371.